• SLAs (Service Level Agreements) today require stringent backup systems, including encrypted backups, storage in off-site locations and a host of recovery modifications. In fact, the United States’ Health Insurance Portability and Accountability Act of 1996 (HIPAA), Sarbanes-Oxley (SOX), and the European Union’s General Data Protection Regulation (GDPR) all include data backup requirements that impact your IBM i, AIX, and Linux backup and recovery solutions. In addition, customer SLAs may also mandate changes to protect the integrity and security of your data. • Location, location, location: In devising a strong data backup plan, where you house your backup devices is everything. It doesn’t make much sense to store data in close proximity to your principal place of business; if a fire, flood, storm or any natural disaster takes place, one location is just as vulnerable as the other. 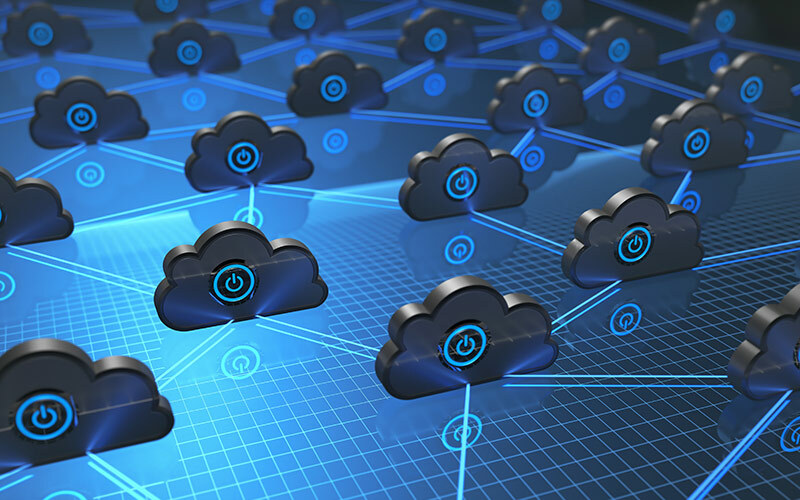 Backup in the cloud ensures that critical information is a safe distance and readily accessible should calamity strike. • Protecting your data from viruses and data corruption: Foolproof data protection means guarding against the insidious hazards of viruses and corruption. Information that is compromised by these negative impacts can wreak havoc. Viruses, application errors and deleted files can also take a significant toll on your company’s bottom line. Backup in the cloud keeps your data safely shielded from these perils. • Provide data and application availability in the event of a disaster or hardware failure, which allows your business to continue to function without interruption. • Protect the integrity of your data, mitigating any financial issues or legal liability stemming from a disaster, data corruption, or human errors that impact the integrity of your stored information. • Shield data and unencrypted backups from unauthorized access by external parties with nefarious intent. • Ensure regulatory and Service Level Agreement (SLA) compliance with overseeing bodies and governmental agencies and acts to guard against violations, penalties or lost business should your backup and recovery program fall short of mandated requirements. • Recovery Point Objective, or RPO. This gauges how closely an organization’s data is synchronized with its companion source. Essentially, the shorter the time lapse, the better for data backup and recovery. • Recovery Time Objective, or RTO. This governs how quickly processing can be switched from a production source system to a backup target system. Again, timing is everything; it specifies the time it should take for a target machine to assume production processing should the original source be impaired or go offline. • Recovery Time Actual, or RTA. This measures the actual time it takes to shift production from a source machine to the target machine during a test, or an actual emergency. It will determine precisely how long you can expect the production transfer to take place, once undertaken. Modernizing IBM i, AIX and LINUX power systems by gravitating data to the cloud is a major step forward in addressing these pitfalls, and in bringing your data management and protection program into the 21st century. Talk to a SIAS representative about the myriad benefits of migrating your application to the cloud!